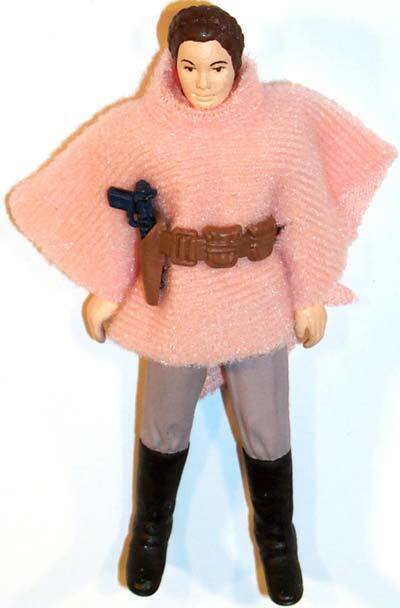 This piece is a painted hardcopy of the Leia in Combat Poncho figure. Of course, the accessories are what really make it stand out. 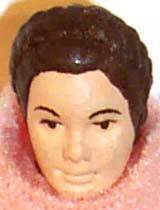 Most notably, the poncho is pink rather than camoflauged. Additionally, the belt/holster, which is black on the released figure, is here made of brown rubber.